In stock -This product will ship today if ordered within the next 4 hours and 25 minutes. 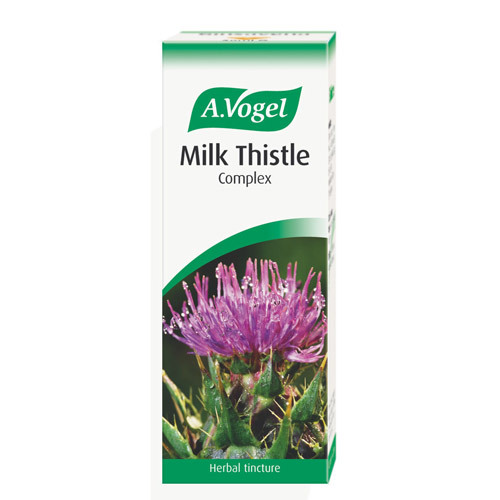 A Vogel Milk Thistle Complex Herbal Tincture is a seed extract combined with Dandelion, Artichoke, Peppermint and dried Boldo leaves, traditionally used as a liver support and detox. Contains the tinctures of: fresh Cynara scolymus* (Artichoke) leaves 46%, Silybum marianum (Milk thistle) dried fruit 32%, fresh Taraxacum officinalis* (Dandelion) herb and root 12%, Peumus boldus (Boldo) dried leaf 7% and fresh Mentha piperita* (Peppermint) leaves 3%. Below are reviews of A Vogel Milk Thistle Complex Herbal Tincture - 50ml by bodykind customers. If you have tried this product we'd love to hear what you think so please leave a review.